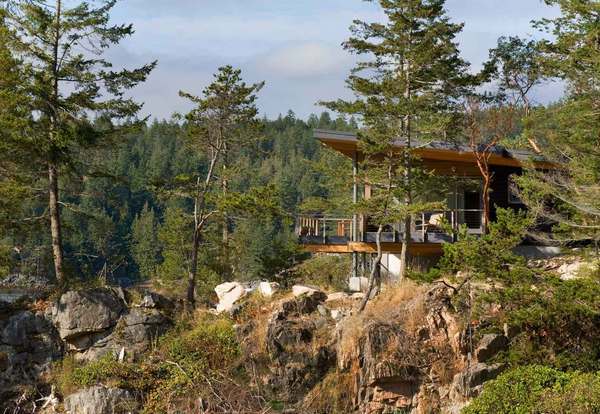 Located on a remote island on the Straight of Georgia at the mouth of Desolation Sound, the site is formed of natural granite bedrock and contains a dramatic peninsula and cliff which serve as a windbreak for Cortes Bay as well as the Seattle and Vancouver yacht clubs. 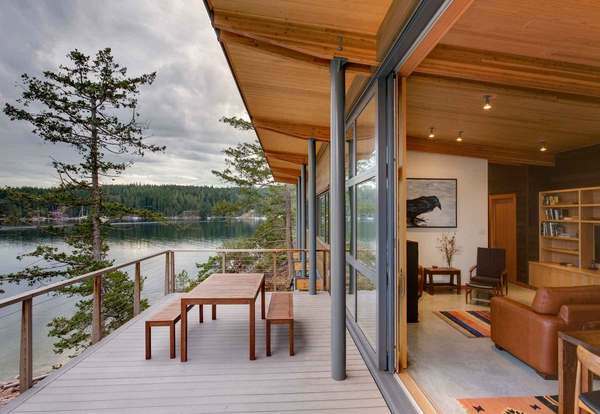 The clients’ main desire for the design of their new home was to have views of the sound from each room all on a single level home. 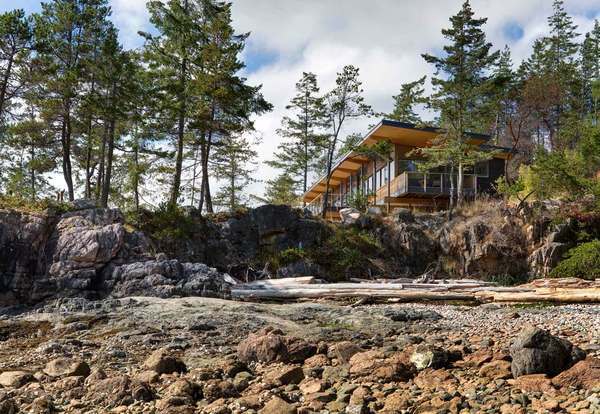 Given the rectilinear nature of the site, we chose to elevate and elongate the house along the shoreline with an even and rhythmic structure. 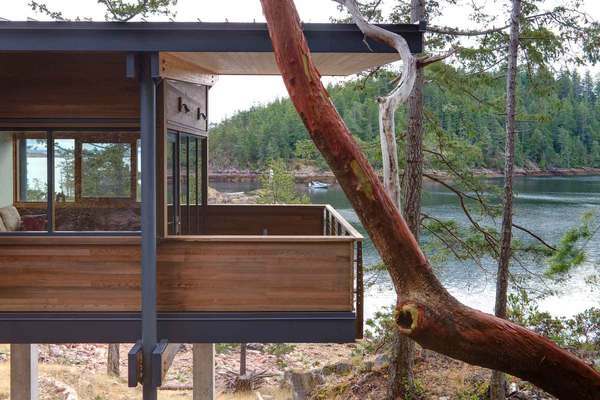 The result is what some locals affectionately refer to as the ‘sopwith camel’; because the form is reminiscent of the WWI biplane. 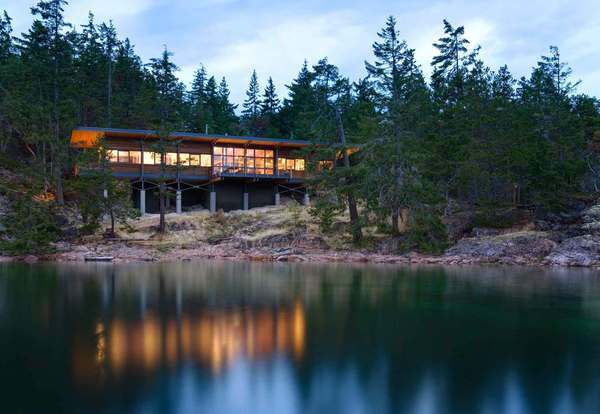 The great room, with its 24ft wide lift and slide doors, flanked by two wings of the house spreads out above the water as if it had landed on the rocky outcropping. 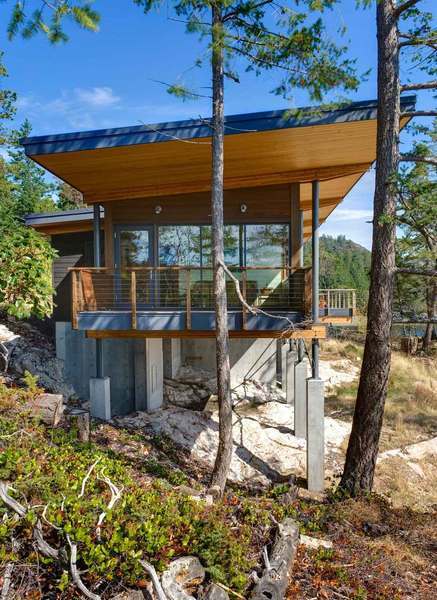 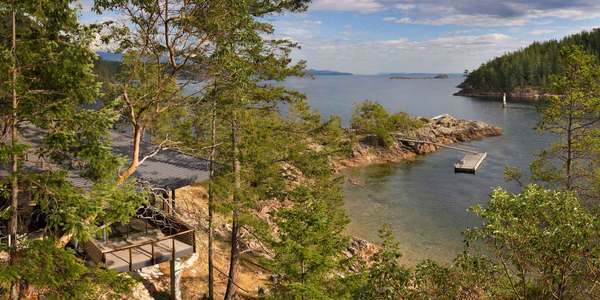 The primary structural support for the home is the steel frame, anchored to the site by way of a system of a concrete foundation and pilings embedded into the granite bedrock which serves as the footing for the foundation. 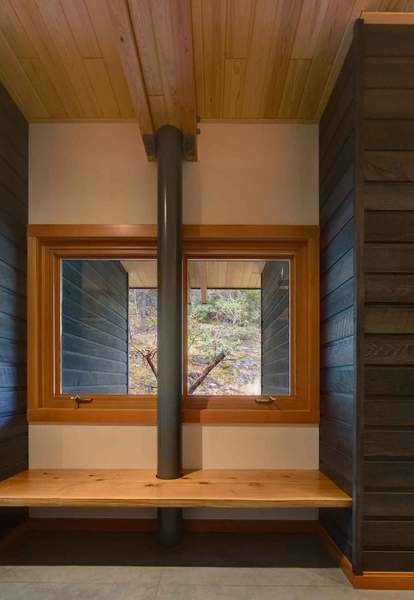 Integrated with the steel frame, is the secondary structural support system comprised of exposed wood floor beams. 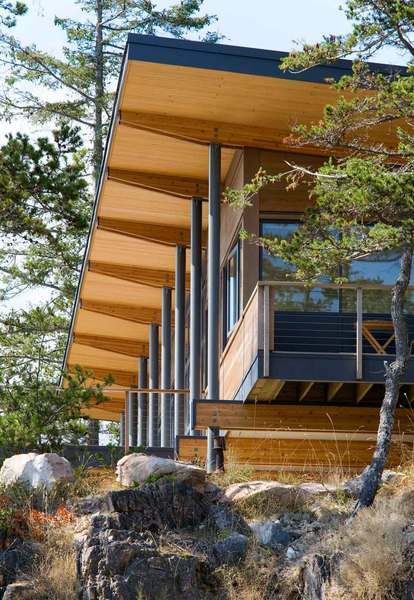 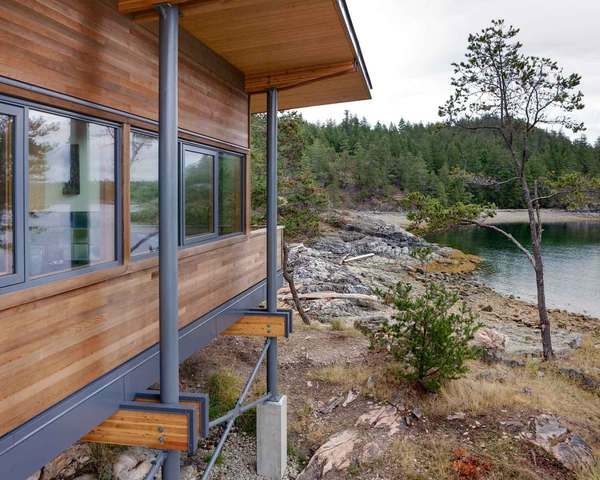 These two systems allow the home to cantilever off of the hillside while withstanding seasonally extreme weather, including 100mph+ winds and salt spray from the ocean below. 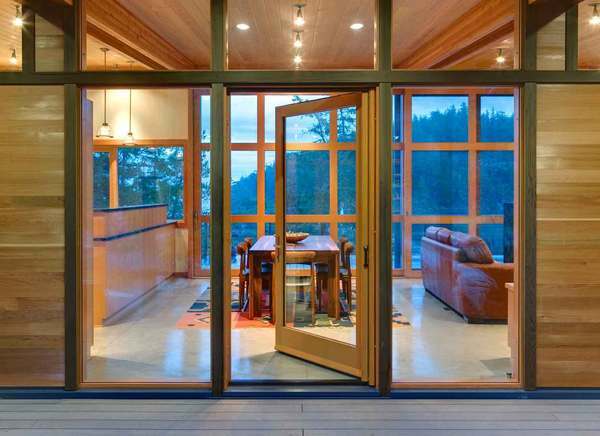 The entry of the home is recessed from the north façade and opens up to the great room. 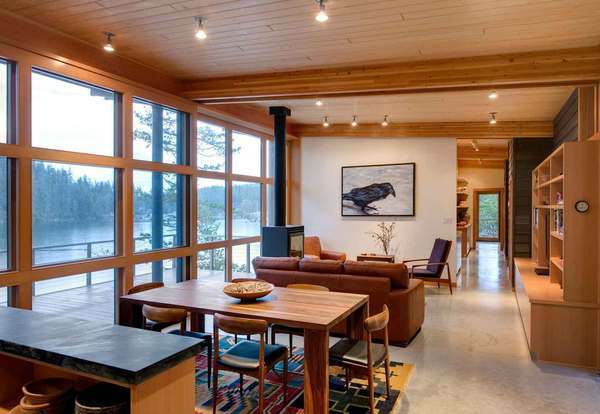 This central space contains the living room, dining room and kitchen, all with expansive views of the straight beyond. 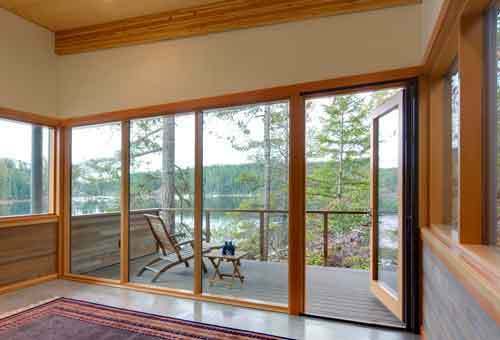 It opens up to a south facing deck by way of a grand 11ft tall by 24ft wide custom lift and slide door system. 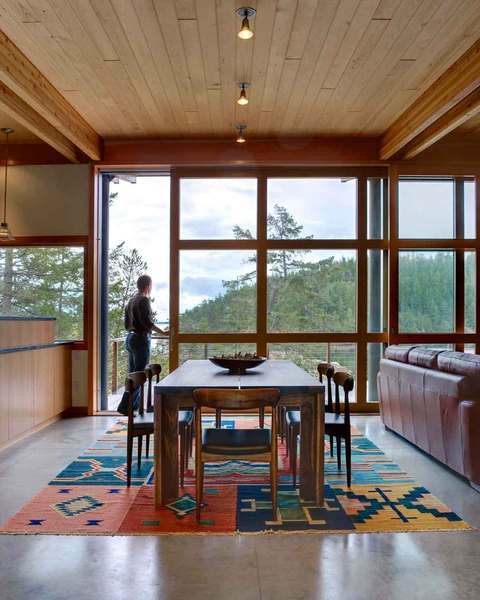 The great room is flanked by a guest suite and study to the west, and a master suite that captures the morning sunlight to the east. 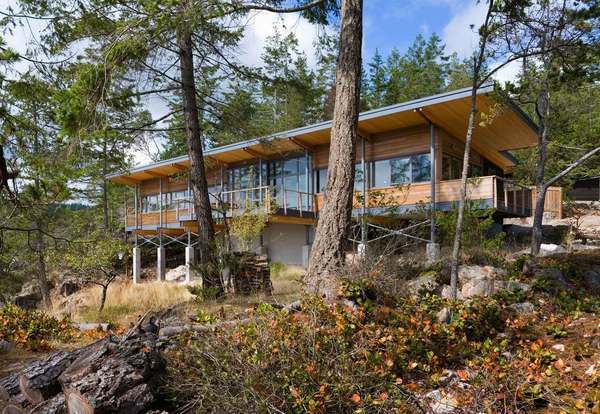 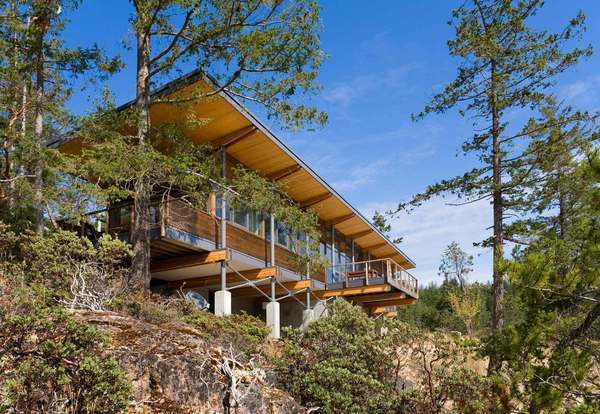 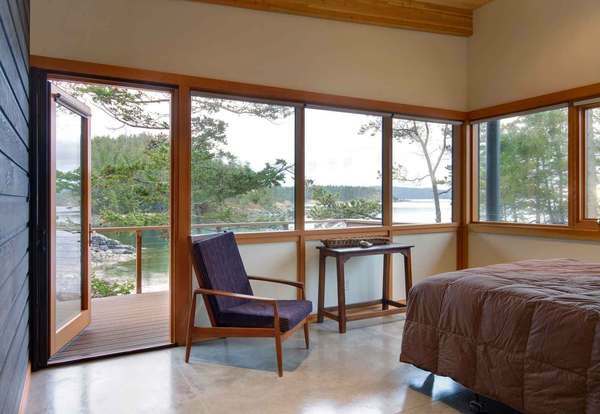 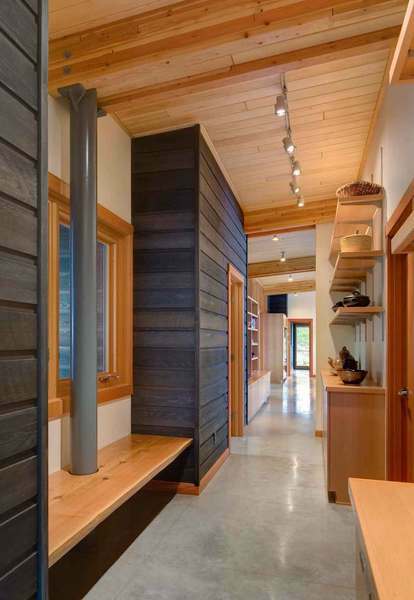 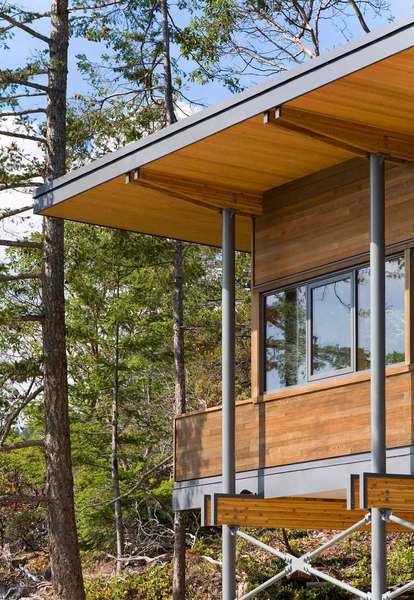 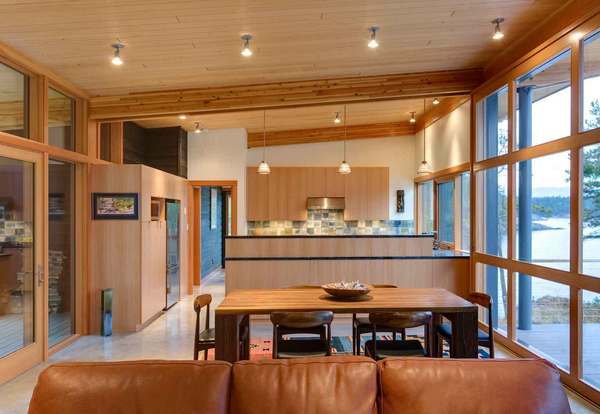 The home is clad in clear western red cedar which continues in the hallways throughout the home, further strengthening the relationship between the homes interior and its surroundings. 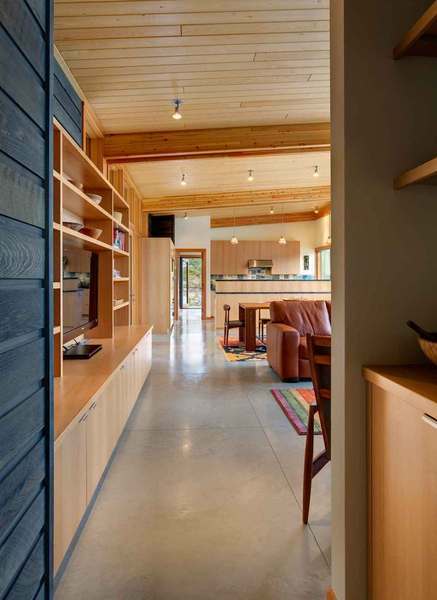 Clear pine also transitions from exterior soffit to ceiling material on the interior, alleviating the space between the visually heavy roof and radiant concrete floor structure. 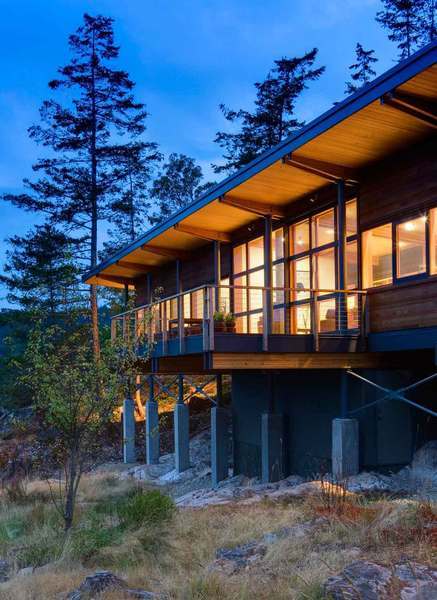 The Cortes residence treads lightly on the site while offering expansive views of the sound that stretches before it.